Terrie Spohn, DNP, APRN-NP, FNP-BC, is a highly qualified Board-Certified Family Nurse Practitioner able to diagnose and treat the full range of health care concerns affecting patients of all ages. With over 30 years of health care experience, she can treat and manage minor illnesses to complex health issues. From well-child visits and prompt care of acute injuries to disease prevention and management of chronic diseases, the residents of Hickman, Nebraska and surrounding areas, can count on her compassion, attention to detail, and exceptional skill to treat their health care concerns. 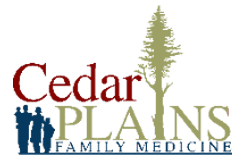 Dr. Spohn and her husband founded Cedar Plains Family Medicine to provide comprehensive health care to all ages. She promotes her patients’ physical and mental health while utilizing a wide range of medical and health treatment strategies. While drawing upon a healthy mixture of standard medical approaches and complimentary practices, she can find a treatment plan to meet the majority of her patient’s health care needs and improve overall wellbeing of her patients. Dr. Spohn takes great pride in the relationships she has built with her patients and the community. As a strong patient advocate, she actively supports legislative issues, working to ensure patients can access high quality health care. Born in nearby Bellevue, Nebraska, Dr. Spohn was then raised overseas while her father was in the United States Air Force. She later joined the US Army, working in a variety of positions, exiting the military as an Army Nurse Corps Officer. After several years as a nurse, she realized she wanted to do more for patients and their families, so she completed her Master of Science in Nursing as a Family Nurse Practitioner at the University of Nebraska Medical Center. 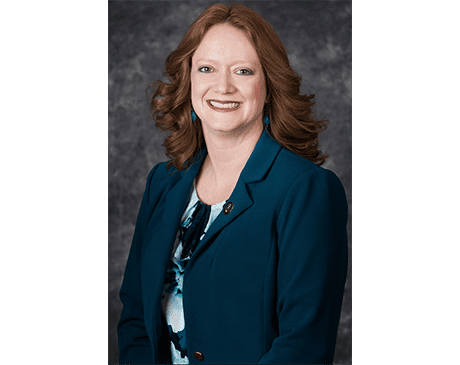 After receiving a post-master’s certificate as a nurse educator, Dr. Spohn entered Creighton University, where she graduated with her Doctor of Nursing Practice, with a focus on family medicine and health policy and legislation. She also completed a Master of Science degree in Negotiation and Dispute Resolution through the Werner Institute at Creighton Law School giving her an edge on communication skills with her patient’s and their families and advocating for their wellbeing. Dr. Spohn has served on numerous medical and non-medical boards and committees and held a variety of leadership positions over the years. She has earned several military and private sector awards, scholarships, and fellowships. She stays actively involved with the Nebraska Nurse Practitioners, the Nebraska Nurses Association, and other professional groups. She is an active member of the Hickman Chamber of Commerce and currently serves on the Board of Directors for the Hickman Optimist Club, supporting youth in the community. As an Army veteran, Dr. Spohn takes great pride in caring for active duty and military veterans in her care. She stays active with The American Legion and Veterans of Foreign Wars. She currently serves as American Legion County Vice Commander for Lancaster County. Dr. Spohn enjoys spending time with family and friends. She loves fishing, gardening, and hiking. We accept most major insurance plans – over 80 plans! If you don't see yours listed, please feel free to call and inquire. In addition, we encourage you to call your insurance company to verify in-network or out-of-network coverage. Please call (402)-204-4103 to schedule your appointment!